An oceanfront hotel in Delray Beach will be replaced by a boutique condo project, with units starting in the high $4 million range. The 19-unit Ocean Delray is planned for 1901 S. Ocean Blvd. and 1060 Del Harbor Drive, which is currently the site of the Wright by the Sea hotel. A joint venture between New Jersey-based National Realty Investment Advisors and US Construction acquired the 1.8-acre property for $25 million in October. They plan to demolish the hotel in the first quarter of 2019 and start construction of Ocean Delray soon afterwards. The developers expect to complete the condo in the fourth quarter of 2020. The three-story building was designed by architect Randall Stofft, who also created the Seagate Hotel & Residences in Delray Beach. The condos will range from 3,300 to over 4,600 square feet, and will include private garages with electric car charging stations. They will have 10-foot ceilings and windows, plus terraces of 662 to 1,500 square feet. The balconies will have glass railings so the beach views are unobstructed. The project will include a pool with cabanas. 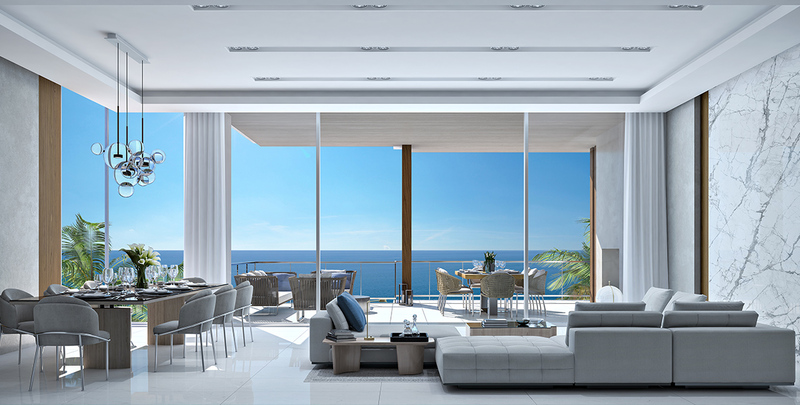 IMI Worldwide Properties is the exclusive broker of Ocean Delray.